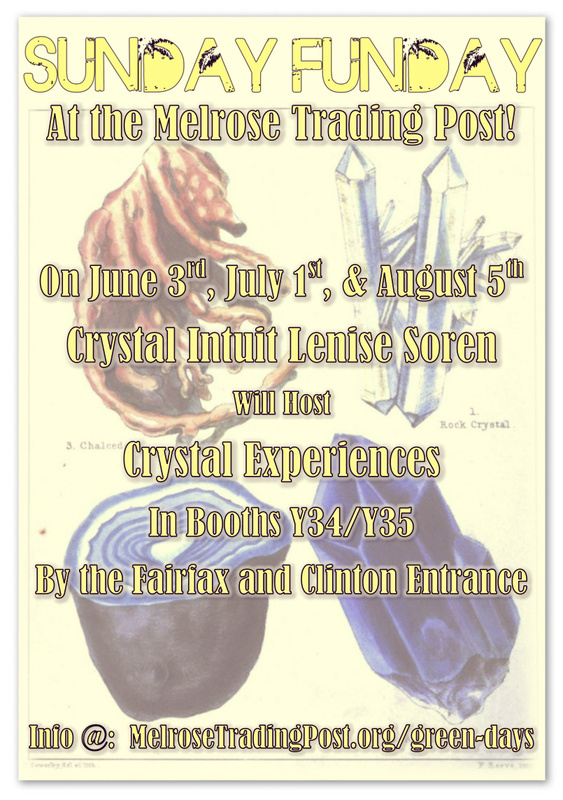 The first Sunday of each Summer Month, Crystal Intuit Lenise Soren will host Crystal Experience Events in her booth. 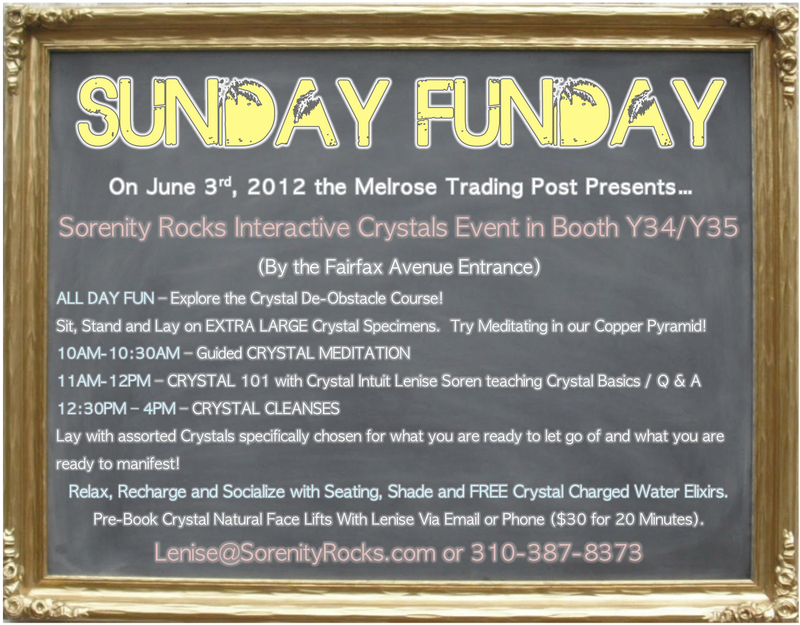 Her booth is Y34/Y35 by the Fairfax/Clinton Entrance. 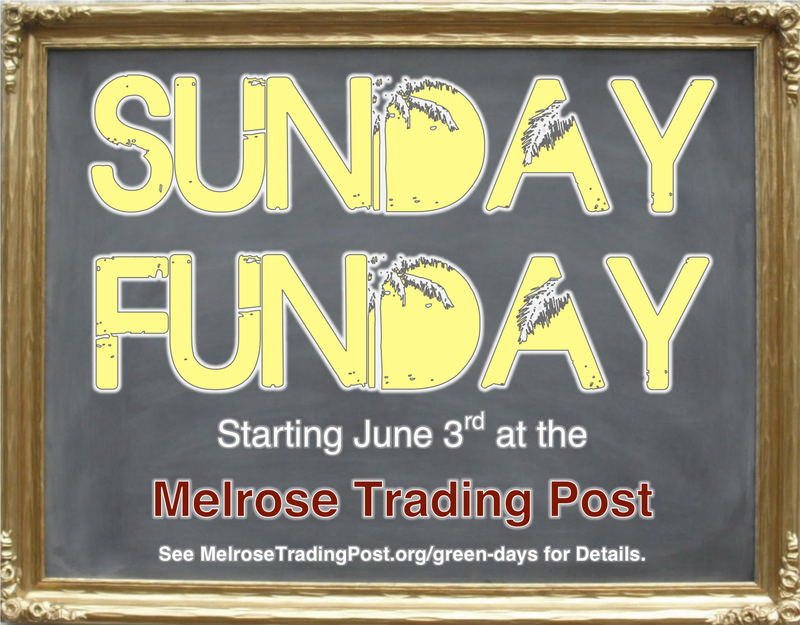 Coming soon: Melrose Trading Post’s Sunday Fundays! We are planning free and donation-based events in the market starting in June. 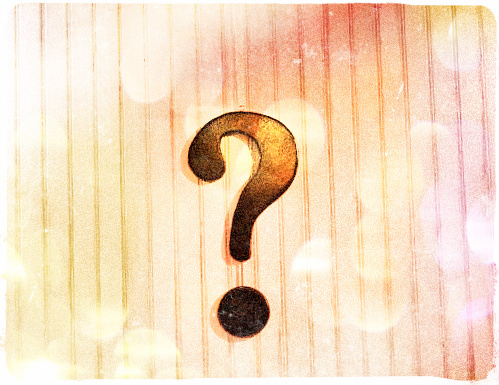 Stay tuned for this summer’s schedule! What a beautiful Sunday! Thank you to all of the vendors and friends who came out this past weekend. Our vendors are going to bring the best deals and extremely unique merchandise from all over LA right to the Melrose Trading Post next Sunday. We will be offering free and donation-based events in the market. Each Sunday will feature a different vendor, community member, or student group hosting a free event to the MTP Community. We hope to include classes, hosted talks, performances and other community building activities. 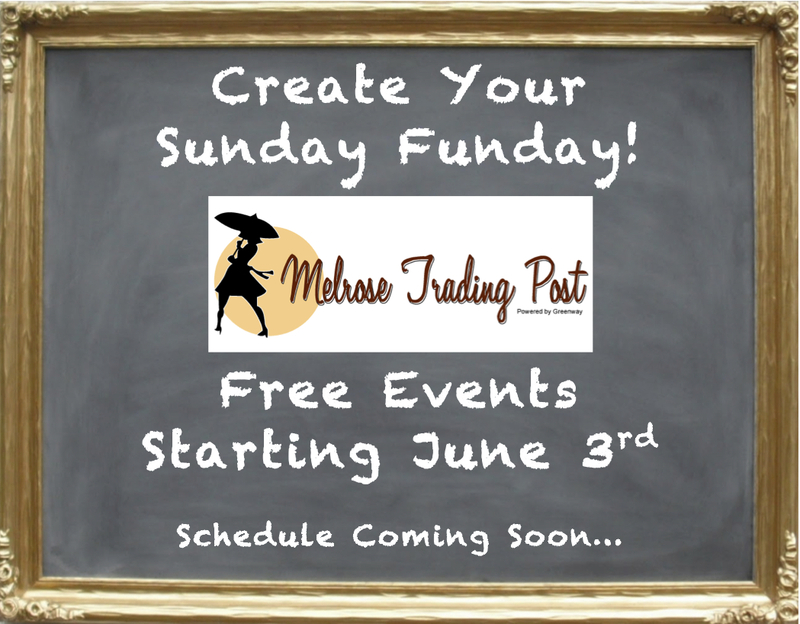 If you would like to host an event or class one Sunday at the Melrose Trading Post, send an email to: Natalie@MelroseTradingPost.org.